MLS# 937292 - 34 Riddle Road Se, Albuquerque, NM 87123 - The FIRM Real Estate Group Inc. 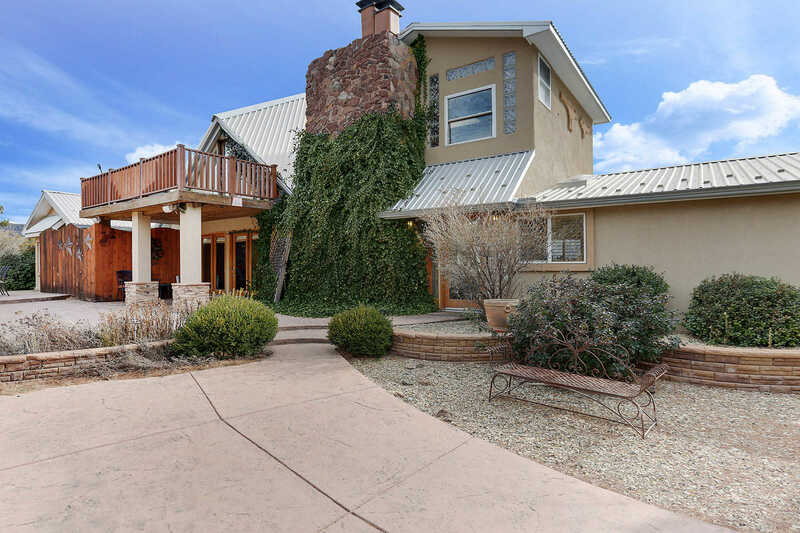 THE PERFECT GET AWAY – Extraordinary & private Villa located just off legendary Rt.66 in the Sandia Mountains. Only 3 miles from Abq. & just minutes from Uptown but feels like a world away! Many of TV & movie stars have STAYED here, Could be a B&B or Vacation property…Perfect for mountain biking, hiking, bouldering & beauty! Secluded canyon acres adjoining National & inspiring, one-of-a kind views! Completely remodeled in 2007! Luxurious main house w private guest apartment/office, which is an additional bed & bath. Property includes fireplaces, cathedral, ceilings, gourmet kitchen & theatre. On the north & south sides has patios with calming water feature, north patio also has a fire pit, grill & stunning rock wall. Beautiful outdoor living! This is a one of kind special!